For those of you who know my gaming habits, I tend to gravitate to the style of retro games and will frequently look to replay oldies I've experienced when I was younger. Richie, for the most part, tends to keep his choices more modern and filled with lots of unique game mechanics. 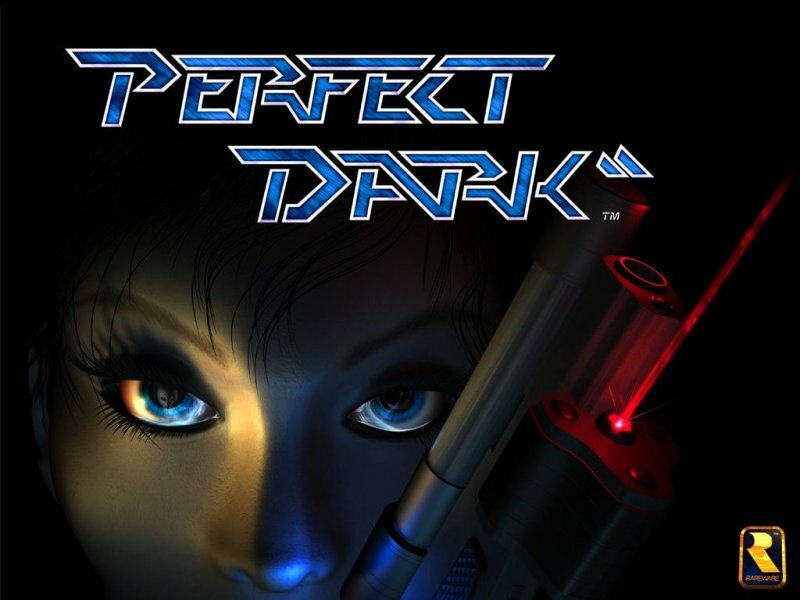 Perfect Dark HD seemed to fit the bill for both of us, mainly because it combines many of these two aspects within it; I got my nostalgia and he got his stealth mechanics. 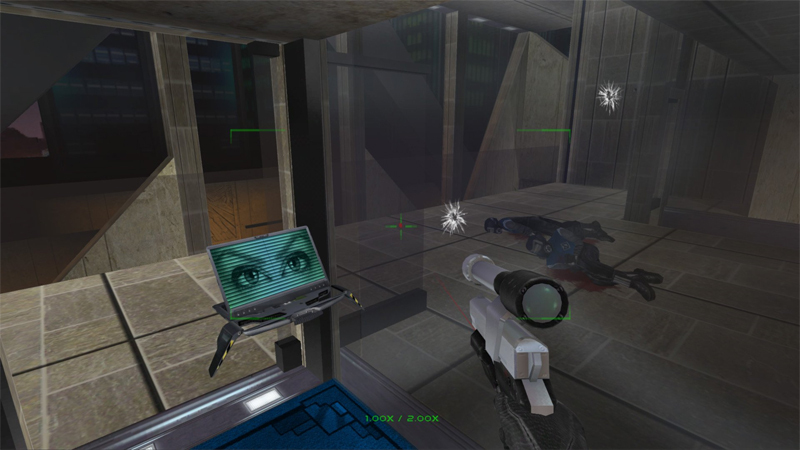 While Perfect Dark is a relatively old game, the XBLA version contained an online, 2-player co-op mode that could easily be set up via Xbox LIVE. Most importantly, however, this game provided a unique experience where we both got something out of playing it together. Instead of just playing a co-op game where either of us simply needed a body to play as the co-op partner, we genuinely enjoyed it because it granted us our own gaming fixes equally. If you are new to the series, Perfect Dark's gameplay is basically a ton of covert missions with stealth elements and run-&-gunning sections. Essentially, this was Rare's spiritual successor to the legendary Goldeneye 64 that many of us know and love. While Richie took over the role as main character (1st player) of the story mode, Johanna Dark, I decided to be the non-important second Johanna (or "James Blonde" as I like to call her) until we got further into the storyline. Elvis, the kickass grey alien, would later take Blonde's place and would become Johanna's partner in the actual plot. I'm a huge fan of Elvis, but I don't like the new HD model they gave him in the XBLA version. Unfortunately, however, we only got up to level 3 and he hadn't shown up yet. Still, we got a lot done together in the storyline and made our way in and out through the Data Dyne, Carrington Villa, and Chicago levels. Early on into the session, I noticed our gameplay styles began to clash at times. For example, I'm the type to explore every nook and cranny I see before moving forward and tend to horde all the good items like shields and weapon ammo. I located and grabbed the night vision goggles and grenades before Richie could even blink three times, and I went out of the way to collect any ammo scattered amongst the dead bodies (leaving barely enough for him). Luckily, I picked up on my own tendencies and started to let up on my eager hording habits. At the same time, Richie learned to be a little more vigilant in maintaining his supply of ammo and grab other useful items before I could. On the flip side, Richie tends to complete objectives more and take out enemies more stealthily than I do. While I wanted to go running around, guns a-blazin' (it's much more fun, trust me), Richie wanted us to slow down and take each step with much more caution. This wasn't because it was on a harder difficulty, but more-so because the game is about being a covert spy on a mission. I tried it out for a little while and highly enjoyed playing the game that way, mainly because it completely changed the way each mission could be experienced. In return for his gameplay style, I provided us with previous knowledge of the game mechanics and walked us through each objective quickly. We're both adults with little time to game each night, so I wanted to make the most out of our co-op session. Both of our unique play styles contributed equally that night, and I believe this is why we both had a pleasantly satisfying experience with an older game. Sometimes, when choosing a game to play co-op in, being able to compromise with your partner is the best thing that you can do as both a gamer and as a person. You both might not like what the other chooses to play normally, but there is more than likely a middle ground where both players can experience something new at the same time, if given the chance. This concept is something I believe everyone should practice in their lives, mainly because it's important to be empathetic towards others (especially during co-op sessions). I encourage any and all co-op lovers out there to try leave their comfort zones every once in a while and learn one another's likes and dislikes for your next co-op game night. Who knows: maybe your middle ground will lead you both to enjoying something you might've otherwise overlooked. Page created in 0.5471 seconds.